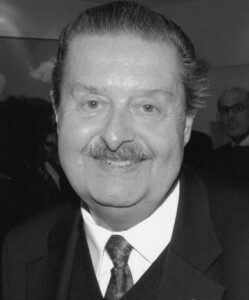 The German-British Society Nuremberg pays tribute to its late president Harald R. Schmauser – Deutsch-Britische Gesellschaft Nürnberg e.V. Mr Harald R. Schmauser became a member of the German-Britsh society in 1995 and was elected its president in the same year. Already as a young man, during his studies in the USA, he had discovered his enthusiasm for English culture and the English language. With obvious joy, he loved to make use of his proficiency in English that he had acquired during that stay in debates and the conversations that followed. In private conversations, Mr Schmauser also often told about his many stays abroad, the experiences he had gained during these, an about the contacts he had established; in these situations he could always be sure of the attention of his audience. Moreover, Mr Schmauser was vice-president of the chamber of commerce of Nuremberg (IHK Nürnberg) for many years. Making use of his connections in the world of the economy and the many contacts he had in administration, politics, armed forces (Bundeswehr) and diplomacy, he was able make highly interesting talks, discussions as well as cultural and events accessible to the members of the society, which were presented by high ranking politicians, journalists, ambassadors, professors and economic leaders. Special mention needs to be given to his negotiating the invitations by Mr Tucher to his stately home Schloss Atzelsberg, guided tours of and invitiations to the stately home of the Faber Castell in Stein; last, but not least the Annual Dinner in the Maritim Hotel in Nuremberg as well as our summer excursions, which he organised, need to be highlited. During the more than 20 years that he was president of the German-British Society, Mr Schmauser was introduced to Her Majesty Queen Elizabeth II during an official reception; he also received her thanks for his work for the German-British Society Nuremberg in the context of mutual understanding between people. This encounter made a deep impression on him. Mr Schmauser passed away in September 2016. His never tiring effort for the German-British Society Nuremberg, especially during difficult times, will always be remembered. We all will miss him very much. Our hearts go out with thanks and compassion to Mrs Schmauser and her family. Writen and translated using the official funeral speech by Mr Günter K. Schnorr, then treasurer of the society.